Abstract：Cyrtotrachelus buqueti is a destructive insect for bamboos. Leshan city of Sichuan province is less than 300 kmaway from Chishui city of Guizhou province. However, the population density of C. buqueti is 48 times difference between the two cities. Reproduction is one of the key links in maintaining insect population density. 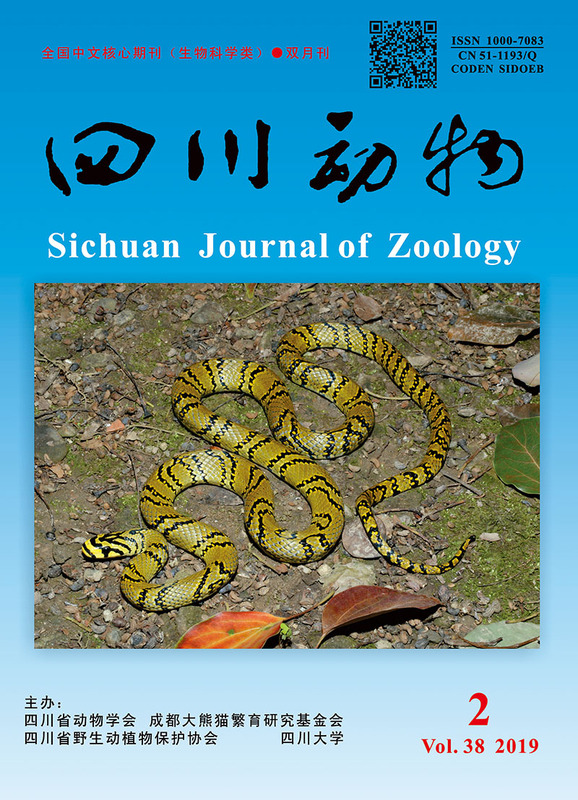 In this study, the morphological characteristics and ultrastructure of the reproductive system of C. buqueti in Leshan and Chishui were systematically studied by using morphological anatomy and scanning electron microscopy to explore the differences of population reproductive system. The results showed that there was no significant difference in the morphological structure of the adult reproductive system, neither in the ultrastructure of their external genitalia. In Chishui, the egg surface of the females was rough and hollow, and the diameter was significantly smaller than that of Leshan. The inner wall of Chishui males' testicles was wrinkled and rough. The sperm cell diameter was significantly smaller than that of Leshan, and the number of sperm cells per 10 000 μm3 was more than twice that of Leshan. The structure and size variation of sperm cells and egg cells may be the direct cause of the decrease of population density of C. buqueti in Chishui. The results will provide a practical reference for further analysis of the population changes of C. buqueti. 陈其勇, 王统强, 陈元贵. 2014. 四川沐川县竹产业现状与发展建议[J]. 世界竹藤通讯, 12(4):43-45. 董杰影, 金龙金, 张军明, 等. 2004. 汞、铅对小鼠睾丸和生殖细胞的亚慢性毒性[J]. 癌变·畸变·突变, 16(4):220-222. 郭慧芳, 陈长琨, 李国清, 等. 2002. 高温胁迫影响雄性棉铃虫生殖力的生理机制[J]. 棉花学报, 14(2):85-90. 韩兰芝, 翟保平, 张孝羲. 2003. 不同温度下的甜菜夜蛾实验种群生命表研究[J]. 昆虫学报, 46(2):184-189. 梁梓, 杜超豪, 杨瑶君, 等. 2016. 长足大竹象雄性附腺提取物抑菌作用研究[J]. 四川动物, 35(1):66-69. 梁祖昂. 2017. 南宁长足大竹象生物学特性及其防治[J]. 广西植保, 30(3):9-14. 楼哲丰, 方周溪, 董杰影, 等. 2007. 汞对小鼠生精细胞Bcl-2、Bax表达和生精细胞、精子超微结构的影响[J]. 癌变·畸变·突变, 19(2):139-142.忙定泽, 罗庆怀, 舒敏, 等. 2012. 长足大竹象成虫体表信息化学物质的提取和鉴定[J]. 昆虫学报, 55(3):291-302. 聂学文. 2010. 长足大竹象生物学特性及防治试验初报[J]. 林业调查规划, 35(2):99-102. 蒲远凤, 杨桦, 杨伟, 等. 2015. 长足大竹象营养成分分析与评价[J]. 营养学报, (3):310-312. 沈维干, 陈彦. 2000. 汞对雌性小鼠生殖功能及脏器的影响[J]. 卫生研究, 29(2):75-77. 汪淑芳, 杨瑶君, 刘超, 等. 2009. 长足大竹象生殖结构的形态解剖研究[J]. 四川动物, 28(1):79-81. 王润秋. 2014. 赤水市竹业现状及存在问题与对策[J]. 农家科技(下旬刊), (3):281-282. 杨桦, 杨伟, 杨春平, 等. 2015. 长足大竹象交配行为[J]. 昆虫学报, 58(1):60-67. 杨瑞, 张玲娜, 范敬伟, 等. 2014. 昆虫材料扫描电镜样品制备技术[J]. 北京农学院学报, 29(4):33-35. 杨瑶君, 秦虹, 邓光明, 等. 2011. 长足大竹象幼虫种群动态及其气候预测模型[J]. 林业科学, 47(9):82-87. 杨瑶君, 秦虹, 汪淑芳, 等. 2010. 长足大竹象的触角超微结构和对竹笋挥发物的触角电位反应[J]. 昆虫学报, 53(10):1087-1096. 张娜, 赵莉, 柴颜军. 2010. 不同温度下苜蓿叶象甲实验种群生命表研究[J]. 草地学报, 18(5):726-730. Eckert CG, Samis KE, Lougheed SC. 2008. Genetic variation across species' geographical ranges:the central-marginal hypothesis and beyond[J]. Molecular Ecology, 17(5):1170-1188. He F, Hubbell SP. 2011. Species-area relationships always overestimate extinction rates from habitat loss[J]. Nature, 473(7347):368-371. Östman Ö, Ekbom B, Bengtsson J. 2001. Landscape heterogeneity and farming practice influence biological control[J]. Basic & Applied Ecology, 2(4):365-371. Spear SF, Balkenhol N, Fortin MJ, et al. 2010. Use of resistance surfaces for landscape genetic studies:considerations for parameterization and analysis[J]. Molecular Ecology, 19(17):3576-3591.